Manage bookings in lists or calendars, with information for customer details, venue details, event times, payments made, remaining balances, notifications and more. 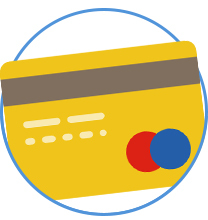 Take a deposit, or the full balance at the time of booking, then provide customers with an easy dashboard to pay their remaining balance online in chunks, or all at once. Give your staff their own account to manage their holidays, see when they are working, and even assign themselves to bookings. Provide a smooth booking process, with SMS and e-mail confirmation, then automated personalised follow up emails to maintain strong customer communication. 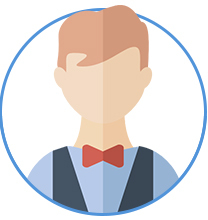 With an online photobooth booking system you can accept bookings at any time of the day or night, without hiring someone to be in the office full time. Booth Book is constantly evolving. It is now unrecognisable from the original version we built for ourselves in July 2015 due to the huge number of features, upgrades and updates we have performed. We made the system leaner & meaner while adding loads of new functionality to make your life easier as a photobooth business owner. New updates are published regularly in the form of update modules. These modules are built, then tested for a few weeks in our live enviornment before being rolled out to all users. Do you think we're missing a feature that could make Booth Book even better? Let us know! Join our facebook group to talk to other members, suggest changes, and request new features. We'll put the features to a vote, and if they grab enough likes, we'll build it and add it to your system at no extra cost. Remember - we are still in the photobooth industry ourselves, so suggest something to make our lives easier day to day, and we will welcome it with open arms! View all upcoming bookings in a list with all of the essential information. Filter the list by date, using "greater than", "less than" or "in between". Choose to show 10, 20 or 50 bookings on each page. 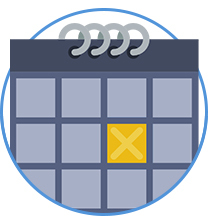 View all upcoming bookings in an availability calendar, showing each day of the month, with a row for every bookable unit. We use this all the time to check availability when talking to a customer on the phone, or to see when all of our units are booked out and we need all our staff to be available. Add admin booking notes to orders that only you and your staff can see, or add customer notes that the customer can see on their manage booking page. Add artwork to bookings in the list - perfect for uploading PNG overlays for your staff to download to a USB for the custom graphics at their event. Customers can also add artwork during the booking process if they want to supply their own artwork, or business logo. New bookings are marked as unconfirmed until money is paid, or the status is overidden by an admin. Change the status of the booking to mark it as "deposit paid", "paid in full", "invoice sent" etc to let you and your staff know the status of that booking. You or your staff can click the postcode of the bookings venue to be sent to a map to see available driving routes, mileage and estimated drive time from your business postcode (which you can define on the settings page). At a glance, you can view all booked packages, extras and calculated travel fees in a simple table on each booking, with a total figure at the bottom. View all payments in a simple table on each booking, showing the transaction ID, time, status and amount. Add manual payments: Name the payment (e.g. Mother of the bride made the payment), choose the payment method (e.g. Credit Card over the phone, BACs, cheque, cash), enter the amount. Click "add payment" to add the payment to the list, and the amount will be deducted from the remaining balance. You can edit the remaining balance at any time manually. Override the total price at any time with a simple text field. 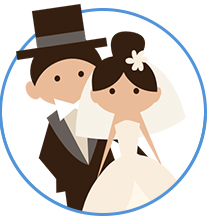 Whether you are doing a special deal for a customer, or offering a discount at a wedding fair, with BoothBook, overriding the price for a specific booking is easy. Send booking details to the customer at any time. Most of our day to day tasks used to be confirming booking details, and sending remaining balance details to customers. Now, at the click of a button, choose whether to send the manage booking link via email or SMS and clock "go". Customers can follow the link to see their booking details, and pay their remaining balance online. Click the edit button on each booking to adjust the services, packages, extras, and booking details. When you attempt to change the booked service, it will tell you which other services are available for that day, and once you click save, the old unit will become available to book online again, and the new unit will be marked as booked. Connect your BoothBook and BoothGallery accounts to easily add galleries and auto-fill information based on the bookings you've taken through your BoothBook system. A BoothGallery Pro account is available free to BoothBook Basic & Pro users. Choose whether to enable SMS integration. Sign up with TextLocal, and then enter your login details on this page to connect to your TextLocal account. You can also choose a sender name for when people receive text messages from you (defaults to your business name). BoothBook will also tell you how many text messages you have left in your account so you know when to top up your TextLocal credit. Choose whether to enable mileage charges or not, and then set the initial distance you are willing to travel for free, and then the price per mile after that. Select miles or kilometres as your preferred method of distance. When a customer books and enters their Venues postcode, the travel fee is calculated and added to their total. Choose how soon a customer should be able to book. Select from options such as "7 days before a booking", and the booking calendar will grey-out the next seven days. This stops a customer booking on the same day, and you having to get everything organised for that night. You can also allow same day bookings if you wish. Choose whether to show a unit descriptions page after a customer chooses a date form the booking calendar, this is a great opportunity to sell your other services, but at the same time you may wish to disable this to reduce the number of booking stages. Set a global stock threshold. This is the number of each extra that can be left before you are notified that you need to buy more. Say you buy a few hundred USB sticks at a time, and put that number into the booking system. When the number hits 20, you will be notified that you need to order more. This will enable a discount banner on the booking form, so all customers booking two services at the same time will receive a percentage discount off their whole order. This is a really great tool for up-selling more services per booking and improving the average spend. Configure customer messages around the booking system. For example, the message that shows when all units are fully booked, or the message to be shown after checkout. There are two main resources and content types in the booking system, these are "Bookable Units" and "Bookable Unit Types". The Bookable unit is the actual physical unit that you rent out, and the Bookable unit type is how you categorise the units. You can add and edit as many of these as you wish. When editing a bookable unit, you can give it a name for you and your staff to reference it by (e.g. Oval Photobooth 3), choose the type of unit that it is, and control that units availability. You can mark single days, or entire date ranges as unavailable if you wish. Packages are the actual price options for each Bookable Unit Type. When you add or edit a package, you must select which Bookable Unit Type it applies to, which extras are included, then set a price, description and time slot. You can also set it as a "special offer" to make the package more enticing to customers during the booking process. Extras are the add-on items that you sell with each package. When you add or edit an extra, you can choose which Bookable Unit Type it works with, the price, how many you have in stock, a description and an image. Upload files to the website for staff to download and use. For example, Magic Mirror set up instructions, or a PSD file for designing template graphics. You have the ability to add, edit and delete unlimited numbers of staff from the system. You control the email address they use, their passwords, and their own availability calendars. Each staff member has their own calendar. They can mark days as unavailable in their calendar (If they are going on holiday for example) and when you are assigning staff to a booking, you will see whether they are available or not. When you do assign a staff member to a booking, they will see that in their calendar when they log in. As an admin, you have a greater level of access than your staff. This stops them editing units, or editing bookings. Should you wish to promote one of your staff to handle a greater level of responsibilty, you can edit their profile and add them as an admin. Customers can choose from your available bookable units, then choose a package, add extras and enter their booking details. Depending on the settings you configure, customers can choose whether to may the Deposit or the Full balance at the time of booking. 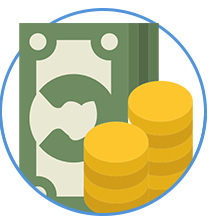 The deposit you set can be a fixed amount, or a percentage of the total fee. When an admin or member of staff are logged into the website, they have an extra fieldset of available options on the booking form. This is great for wedding fairs, where there is often a special offer and price available. A staff member can take all of the customer details, then override the total price, and enter a new remaining balance. If the customer has paid by card or cash, then they can add the information into the admin notes. Once a customer has booked, they have an easy option to view and manage their booking online. Using the form on the front page of the booking system, a customer can enter their Booking ID and Last Name to look up their booking. They can see all of their details, and the remaining balance, and pay a chunk off their invoice using the form at the bottom of the page.